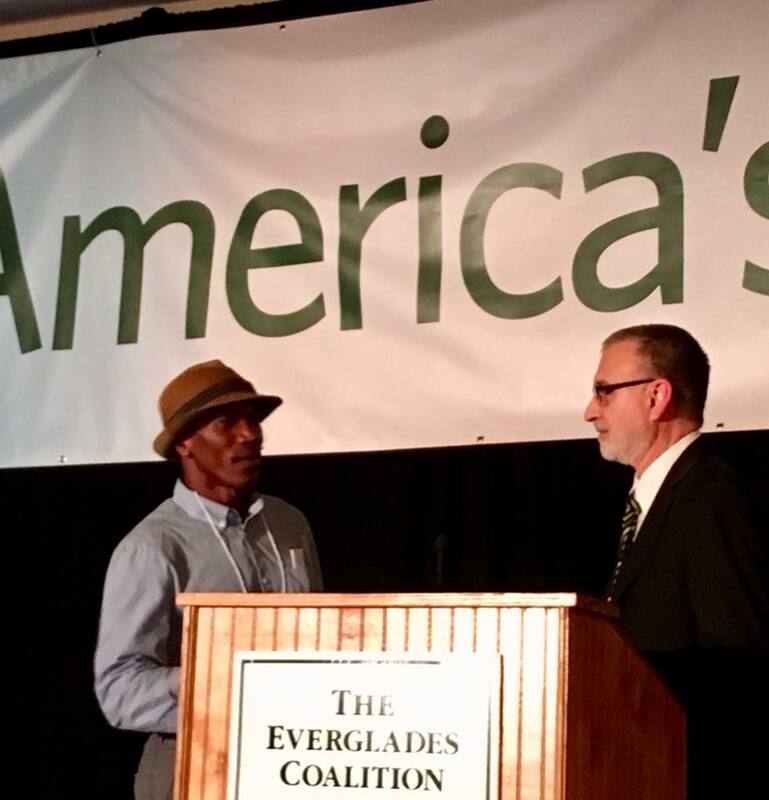 Carl Hiaasen, Bill Nelson and Bob Graham topped some of the big names at the Everglades Coalition conference this year in Stuart, but the real showstoppers were people you may not heard of. Activists like Kina Phillips, Betty Osceola, Steve Messam and Antonio Tovar. They are bringing a long-underrepresented voice to the Everglades movement. They are Glades residents, indigenous tribe members, and farmworkers; those who fight air and water pollution daily. 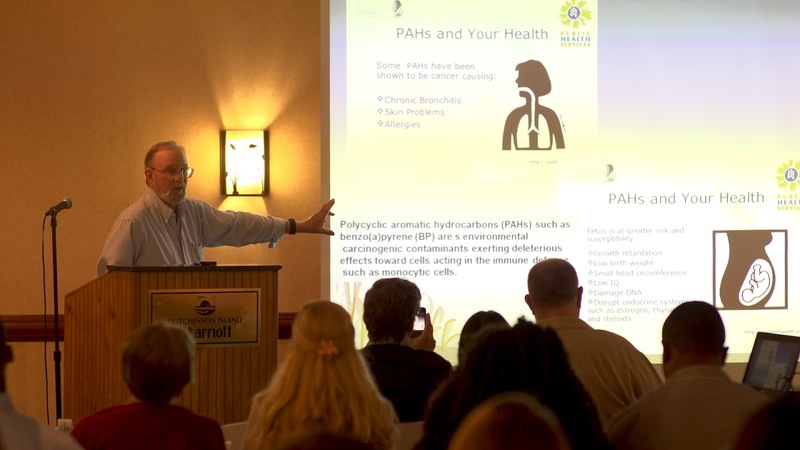 More than 300 people attended the conference, hosted by the Sierra Club, which brought together scientists, policy makers and the public. Sierra Club National Board of Directors Vice President Susana Reyes, from California, spoke about the Club's plans to take on the Trump Administration and increase the diversity of the environmental movement. The conference was a showcase for the Sierra Club, its volunteers and staff and its Florida campaigns. Sierra Club's Our Wild America Florida staff manager Cris Costello moderated the panel on diversity, inclusion and equity featuring speakers from Belle Glade, Glades County and the Miccosukee and Seminole Tribes. Costello began by saying "This session represents what we hope is the beginning of a dialogue with the front line communities, those most directly affected by the hardships associated with an un-restored Everglades, in and around the Everglades Agricultural Area." The intent was to provide each of the panelists the opportunity to introduce their tribe or community to the conference attendees, and thereby start not only a conversation but also the building of relationships. A separate panel on Saturday morning was focused on the environmental justice campaign to end pre-harvest sugar field burning, which disproportionately impacts low-income communities and communities of color in and around the Everglades Agricultural Area (EAA). The panel covered the following topics: scope of preharvest sugar field burning in Florida and the many benefits of green harvesting the alternative to pre-harvest burning (Sierra Club organizing representative Patrick Ferguson), the science documenting the negative impacts pre-harvest burning causes to both public and environmental health, (Dr. William Louda, Professor at FAU) how pre-harvest sugar field burning negatively impacts the quality of life for Glades community residents along with the importance of using one’s voice to speak out against injustice, (Kina Phillips Stop Sugar Field Burning Campaign Leader) and the health issues affecting migrant farm workers from industrial farming practices similar to pre-harvest sugar field burning along with the intimidation they receive which prevents them from publicly speaking out (Antonio Tovar Farmworkers Association). The coalition also featured elected officials. Representatives Debbie Wasserman Schultz (D-Weston) and Brian Mast (R-Stuart) spoke to the Friday dinner audience, showing bipartisan support for the River of Grass. Senate President Joe Negron, who won an award for his legislation to build a reservoir in former sugar fields, also spoke. 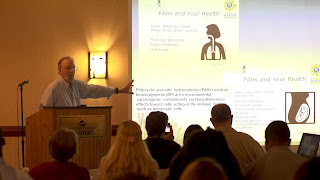 The Everglades Agricultural Area reservoir was a major topic at the Conference. It's an industrial-scale, high walled version of what is needed to send water south to the Everglades. Everglades advocates are not happy about the reservoir's design, and right before the conference they approved a letter to the Governor (click here.) asking him to consider other better options to provide the needed clean water. A large number of people came from the Stuart area, ground zero for guacamole-thick algae. The River Warriors and Bullsugar.org, groups dedicated to eliminating polluting water from Lake Okeechobee and storing and cleaning it south of Lake Okeechobee before it reaches the Everglades, were in full force. Senator Bob Graham, who helped convene the very first Everglades Coalition conference, said deep well injection is "a very bad idea." Senator Bill Nelson held the line on offshore oil drilling and educated people on the Everglades. Author Carl Hiaasen railed against the legislature, Rick Scott and Donald Trump. He also encouraged Everglades advocates to keep up the fight. URGENT! MUST STOP CONSTITUTIONAL PROPOSAL 95 - THREAT TO FLORIDA ENVIRONMENT - CALL COMMITTEE MEMBERS NOW! Florida's future could be riding on a vote to take place as early as 9 a.m. on Friday, Jan. 26, 2018. That is when the Congressional Revision considers a HORRIBLE proposalto end Home Rule in the Florida Constitution. The same "Get-Out-of-Regulation-Free" card would be given to any business that did not restrict its activities to the borders of the jurisdiction its HQ is located in. Preemptions we have fought off include fertilizer, fracking, and so far the tree-trimming bills filed this year. And we continue to fight for the right of localities to regulate plastic bags and Styrofoam. All but three Constitution Revision Commission members were appointed by the Governor, the Speaker of the House, and the Senate President. Not surprisingly, they have bought into the idea that the best way to ensure people make the correct choice is to remove opportunities for them to choose and have the state make the decisions for them. Tell them not to pass this bad proposal. Please call and email Commissioners at the bottom of this page. Constitution Revision Commission Proposal 95, sponsored by Commissioner Lee, will be heard by the Local Government Committee on Friday, January 26th at 9:00am. Proposal 95 would eliminate home rule in Florida as we know it. Proposal 95 would create a constitutional prohibition against any county, municipality, or special district’s regulation of any type of commerce, trade, or labor, unless such regulation operated exclusively within the respective entity’s own boundaries in a manner not prohibited by law. Additionally, Proposal 95 would prohibit any regulation enacted by a county, municipality, or special district from intruding upon, or impeding, commerce, trade, or labor across the respective entity’s boundaries. The language contained in Proposal 95 is incredibly broad and the Proposal provides no definition for the terms “commerce”, “trade”, or “labor”. This could lead to numerous legal challenges brought against not only local government ordinances and regulations, but also against legislation enacted by the Legislature. Please visit flcrc.gov and ask the members of the Constitutional Revision Commission to vote for localism and against Proposal 95. For additional information, please feel free to contact Laura Youmans via email at lyoumans@fl-counties.com or Brian Sullivan at bsullivan@fl-counties.com. If you are planning to come to Tallahassee, please notify Tiffany Henderson or Davin Suggs of your arrangements. (St. Petersburg, Florida - Jan. 4, 2018) Sierra Club Florida today vowed to fight the Trump Administration’s plan to open up the entire Florida coast to offshore oil drilling, but stressed that its efforts will be joined by very powerful economic and social forces that have, over decades, established the Florida brand – 1,197 miles of oil-free coastline of world-class beaches and fisheries. Today’s announced plan would open offshore oil drilling to Florida’s entire coast, Atlantic Ocean and Gulf of Mexico. This senseless, exploitive move threatens Florida’s $67 billion tourism industry, from the white sand beaches of Pensacola to the mangrove shorelines of the Florida Keys, from Miami Beach to Amelia Island. The threats to the state are not only the visual blight of the offshore rigs and their accompanying industrial onshore storage and transportation, but the numerous small leaks and major spills making their way to Florida beaches and poisoning fisheries and iconic marine life such as manatees and dolphins. Recent disastrous hurricanes like Harvey and Irma show that rigs and their onshore infrastructure are not immune from ferocious winds and storm surge. In 2010, the Deepwater Horizon oil spill off of Louisiana sullied Florida beaches triggering a downturn in tourism felt across the state. A similar or even smaller spill in the eastern Gulf or Atlantic under Trump’s plan would be catastrophic. We don’t need new oil drilling. Americans are turning away from oil by buying more fuel efficient vehicles and those that don’t use oil at all. This oil plan is bad for our climate and our coasts.